بني في 1989, فندق سيدني هاربر ماريوت هو ميزة مُضافة لـ سيدني و خيار ذكي للمسافرين. يحظى هذا الفندق ذو 5 نجمات بمكان ممتاز يسمح بالوصول إلى المعالم السياحية الأكبر في المدينة، فهو يبعد مسافة 1 Km عن صخب المدينة. إن سهولة الوصول من الفندق إلى المعالم السياحية الشهيرة الكثيرة في المدينة كمثل ماك كواري بليس, قنصلية المملكة المتحدة, Consulate of Italy هو استثنائي بحد ذاته. 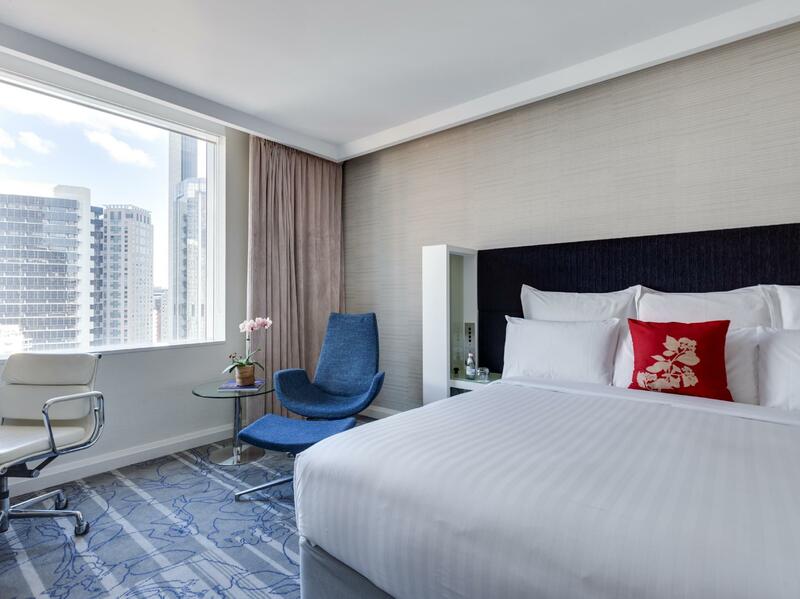 يعرف Marriott بالمستوى الراقي لخدماته ولباقة موظفيه، وهذا ما ستجده في فندق سيدني هاربر ماريوت. يمكن لضيوف الفندق الاستمتاع بالميزات التالية على أرض الفندق: خدمة الغرف على مدار الساعة, أمن على مدار 24 ساعة, خدمة التنظيف يوميًا, متجر هدايا/تذكارات, خدمات بريدية . لقد جهزت هذه الإقامة الفندقية بعناية فائقة لتوفر مستوى عالي من الراحة. في بعض الغرف يجد النزيل تلفزيون بشاشة مسطحة, حمام إضافي, قهوة فورية مجانية, شاي مجاني, بياضات. يقدم الفندق مجموعة واسعة من وسائل الراحة المتنوعة، كمثل: مركز للياقة البدنية, ساونا, حمام سباحة داخلي, سبا. إن فندق سيدني هاربر ماريوت هو مكان مثالي للمسافرين الذين يتطلعون إلى الراحة والاستجمام في سيدني. يُرجى من النزلاء إبلاغ الفندق مسبقًا بنوع السرير الذي يفضلونه. يمكن الإشارة إلى ذلك في مربع "الطلبات الخاصة" أثناء الحجز أو عن طريق الاتصال بالفندق مباشرة باستخدام تفاصيل الاتصال الموجودة في تأكيد الحجز. 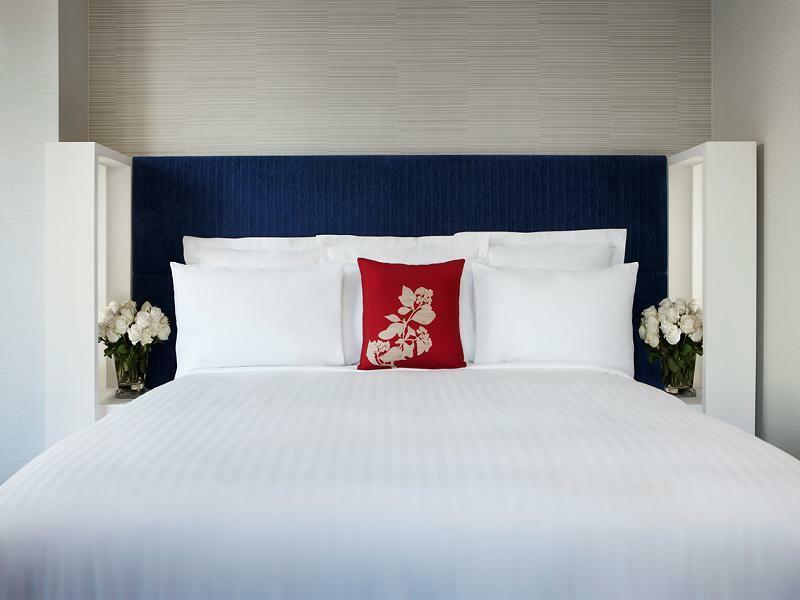 The location is perfect with just a short walk to circular quay. 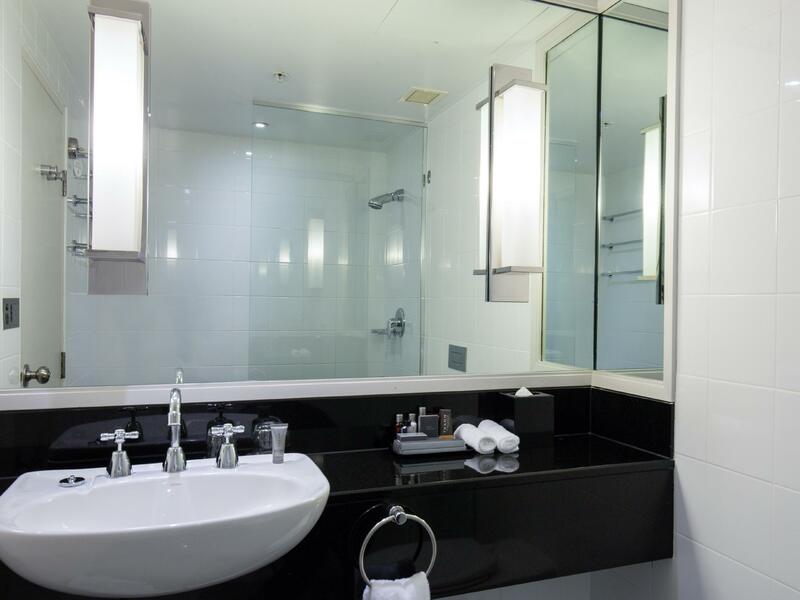 The hotel is very clean and the staff are friendly and helpful. The only problem is all the construction happening around the hotel which makes parking a bit of a nightmare but that’s not the hotels fault. Overall my husband and I enjoyed our stay and our view from the room was really nice. Breakfast was such a good selection. Would definitely stay here again. Right by the harbour, you can walk to the Opera House in 10 min. The rooms were great and clean. You can walk to the Harbour, shopping area, and to restaurants easily. Perfect way to see downtown Sydney. Hotel is very convenient and staff is excellent. Especially the staff at the concierge. They go out of their way to help you. The location is close to Circular Quay, the Rocks, the Opera House, so plenty of touristy places. There are also a lot of good pubs and restaurants nearby. Good for business or couples. 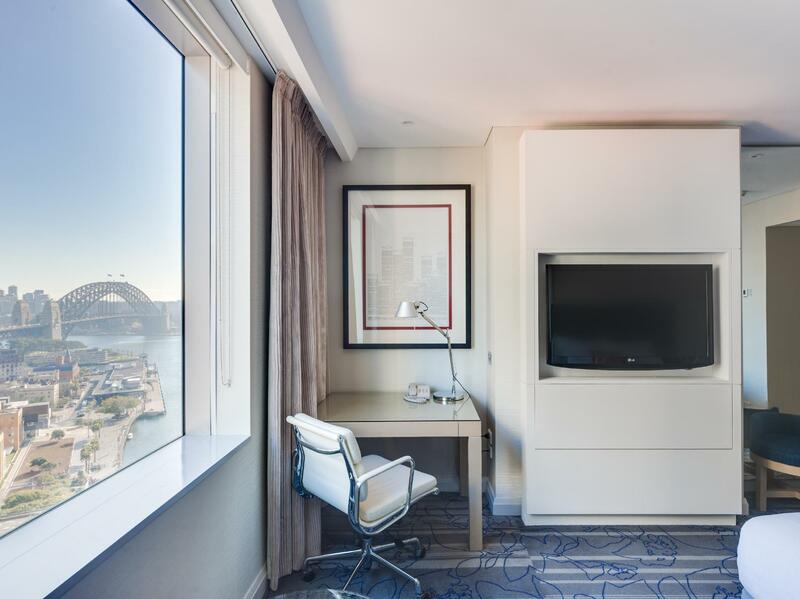 We booked this hotel for our family of 4 persons and upgraded to higher floor with best view the opera house and Sydney harbour. All fanstatic, we sure will stay here again in the next visit Australia. Highly recommended for people travel with family. The vallet parking is way too expensive for overnight stayed. Staff is helpful and friendly, we were allowed to check in early around 9am. 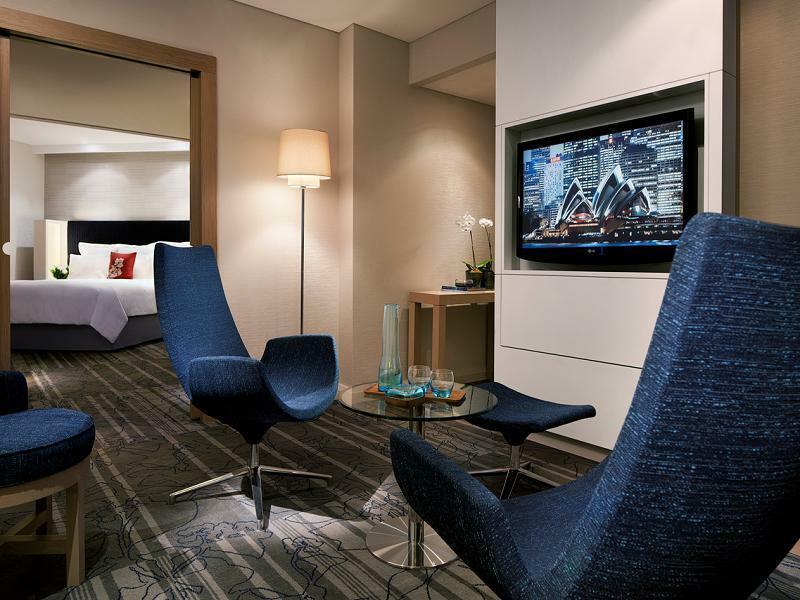 Location is just walking distance to opera house, sydney harbour etc. We stayed at the hotel as my daughter requested to stay at a hotel for her birthday. 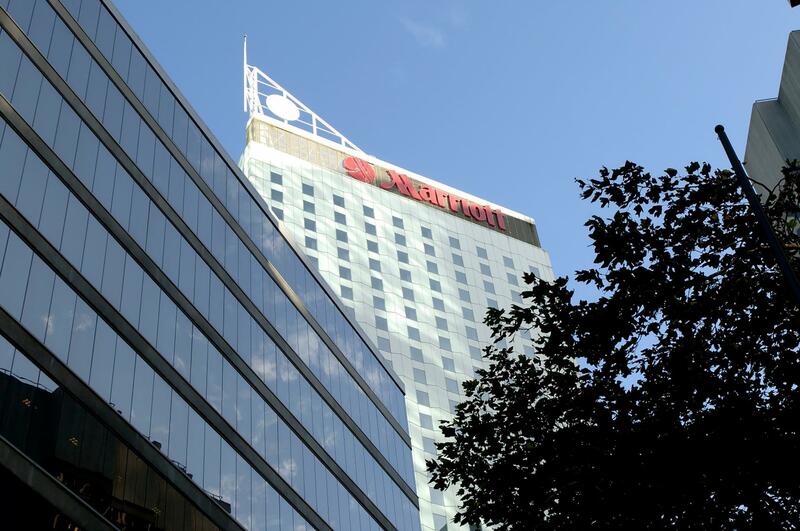 I searched hotels in sydney with pools and found mariott. They had what she wanted, pool, sauna and room service. Bed was ok, the tv channels were just the free tv, shower was basic, wish there was a bath though. Location i really good, in front of the quay. 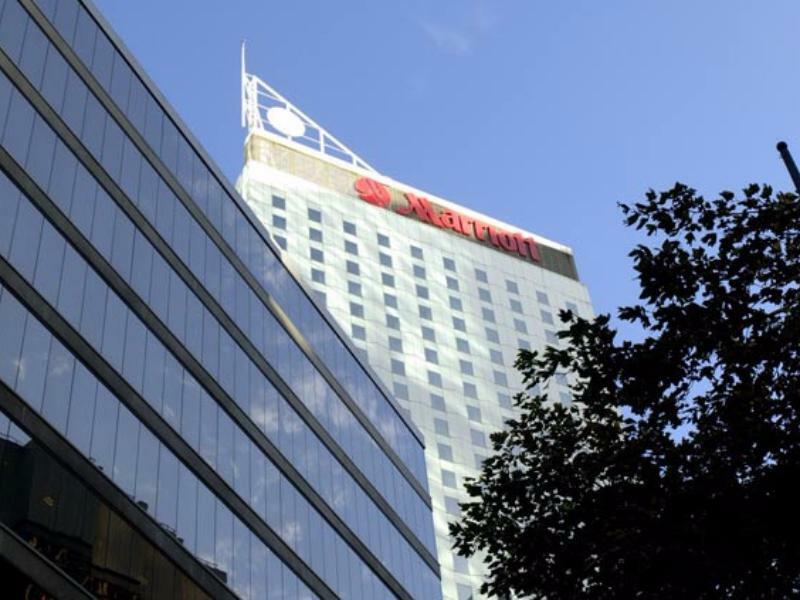 We will certainly recommend the Marriot to our family and friends for stop overs in Sydney, the stay was a stress free - from reception, buffet breakfast chef's, porters, room service, lovely helpful people! 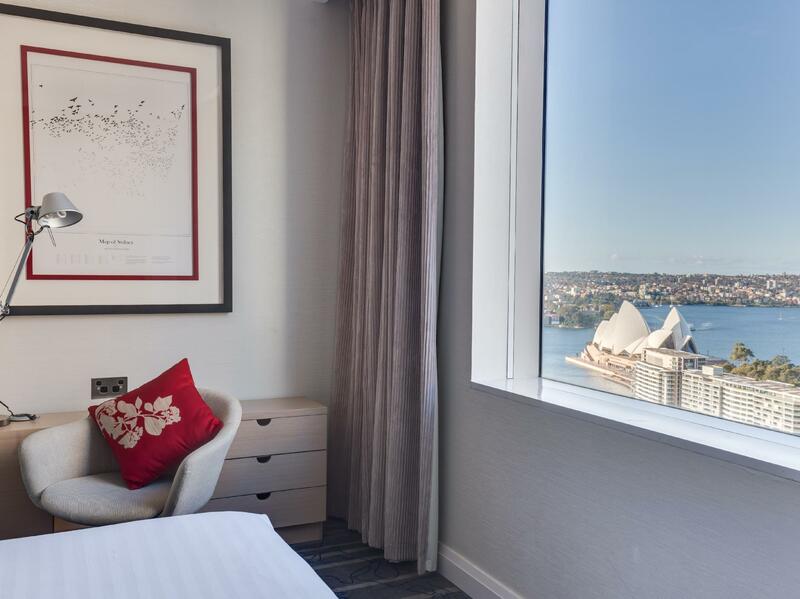 Rooms are marketed as city view or opera house views. We upgraded to opera house view but you had to stand in the corner to see it. Not really opera house views in my opinion; more of a scam to pay more. The hotel was in a great location and staff were attentive and amazing. Unfortunately, for the price you pay for a Opera House View Room, the service didn't match. Housekeeping hardly cleaned the place and food and drinks significantly overpriced. Staff very friendly and nice. Great location nearby circular Quay and the Rock area. This hotel is excellent - lovely and quiet rooms, just steps from Circular Quay and all the ferries. Hotel is right in the center of everything. Unfortunately the property is undergoing renovations at this time, so you really can't enjoy it to the fullest extent. Robert, the bartender, in the main restaurant was a joy to speak to at night. Amazing hotel. Wonderful staff - from the doorman to the check in counter to the cleaning lady, everyone was extremely polite and helpful. Great location, right near the harbor. Next time I'm in Sydney I will stay here again. Was welcomed very warmly by the bell desk right through to the front desk. Excellent and very speedy service, and provided me a room with a very good view of the Harbour Bridge. I naturally don't sleep very well but the room was extremely comfortable that I enjoyed staying a little longer in it. Location is very convenient and walkable to the main attractions in The Rocks, Wharfs etc Will definitely return. Hotel is located in a perfect area for short term visitors. The Red Bus stop is only a 2 minute walk from the hotel as well as the harbor and the amazing Sydney Opera House. I would definately stay here again, my only complaint is the over priced breakfast offering. They offered me a "deal" which was extremely expensive. Don't sweat it though there is a Starbucks, McDonalds and many local coffee shops within 2 or 3 minute walk from the hotel. My only wish is as a Marriott rewards member they would make a better effort to be more inline with their food prices. That said I would stay there again!